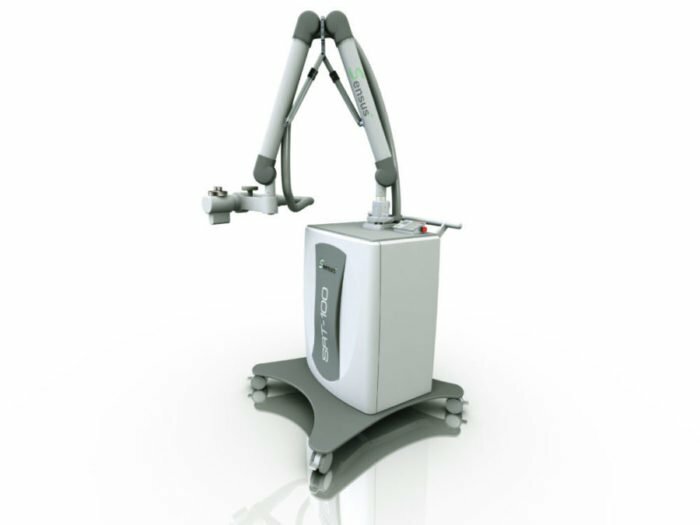 Sensus Healthcare is revolutionizing skin cancer treatment with the SRT-100™, a Superficial Radiation Therapy machine that provides a non-surgical option for treatment of non-melanoma cancer. There is now a mobile unit of the SRT-100™ available. This technology can be delivered to hospitals and benefits you as a doctor because it prevents you from having to invest in a piece of equipment to help your patients. Superficial Radiation Therapy, a highly effective option in the treatment of basal and squamous cell cancer, can be delivered for your convenience. The Superficial Radiation Therapy mobile unit gives people living in a nursing home or in an assisted living program who may not easily be able to receive treatment a new option. Superficial Radiation Therapy can be brought directly to patients who are immobile by a van, allowing them to avoid a dermatologist or hospital visit. The van has a lift that brings them up into the van for treatment and back down once the treatment is finished. Superficial Radiation Therapy is a tissue-preserving alternative to Mohs surgery. The cure rate of Superficial Radiation Therapy is about 93%, coming very close to that of Mohs surgery. Each treatment is fractionated and more than one treatment session must take place, but each session is completed in a time-efficient manner. There is no down time after treatment. Patients typically need three treatments over a period of a month and twelve treatments total. The SRT-100™ can treat lesions on the arms, legs, back and trunk, and it is especially efficient in treating skin cancers on the head and neck. It can deliver a controlled dose of Superficial Radiation Therapy to delicate areas that are hard to treat, such as those along the fold of the nose, eyelids, lips, corner of the mouth and lining of the ear. Superficial Radiation Therapy is also highly effective in the treatment of keloid scars. If you are in the market for an exceptional medical technology to better serve your patients, you can enhance your treatment options with a safe and highly effective non-invasive treatment for non-melanoma skin cancer and keloid scarring. Whether you are a dermatologist, Mohs surgeon or radiation oncologist, the compact and mobile SRT-100™ is the right choice for non-surgical treatment. Contact us to learn more about how the SRT-100™ can improve your practice.